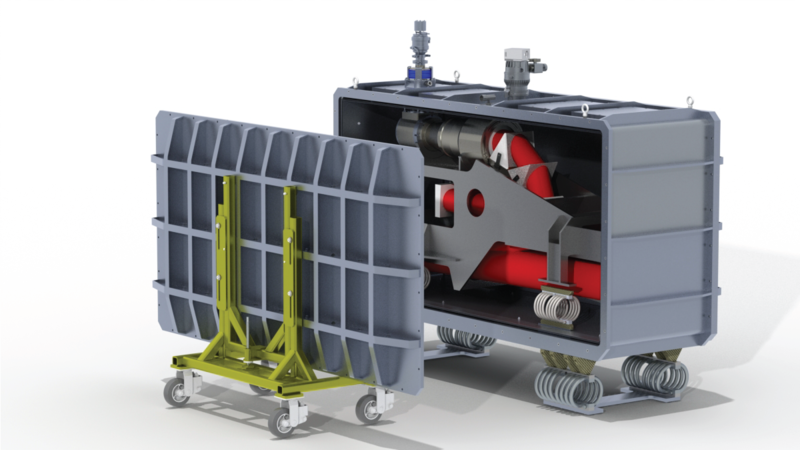 June 20, 2016 - The Yale Exoplanet Laboratory is presenting a poster at the SPIE Telescopes and Instrumentation conference in Edinburgh, Scotland detailing the motivation, design, and construction of the NSF funded Extreme Precision Spectrograph, EXPRES. The spectrograph will be commissioned at the Discovery Channel Telescope, part of the Lowell Observatory, near Flagstaff, Arizona. The full manuscript may be found here. The 4.3 meter Discovery Channel Telescope (left) and a rendering of the high resolution, R=150000, spectrograph in its vacuum chamber (right) is shown below. 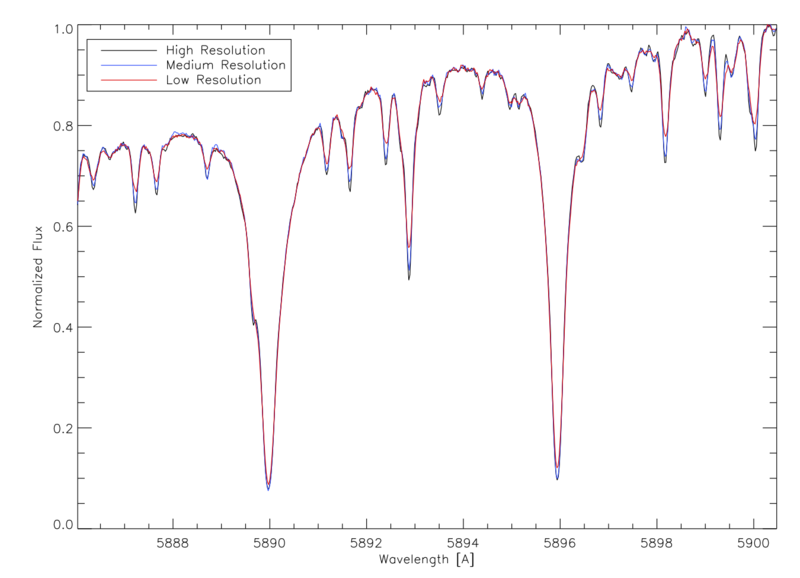 March 4, 2016 - The Yale Exoplanet group has published a manuscript on the design and construction of the completed Vilnius University Echelle Spectrograph (VUES). The manuscript can be found here. 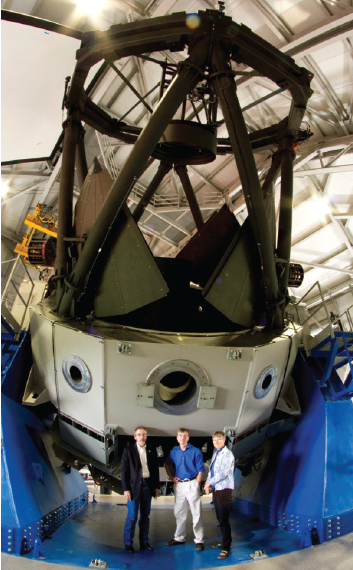 May 25, 2015 - The Yale Exoplanet group designed and built a spectrograph through a contract with UAB Bioeksma for Vilnius University in Lithuania. The contract was issued Feb 22, 2014, and now, just 15 months later, we are shipping the instrument to the Moletai Astronomical Observatory, on time and on budget. The white pupil design has three resolution modes: R = 30000, 45000, 60000 and we obtained the first light solar spectrum (5-second exposure) by running an optical fiber down the hall and holding it out the window! The left image below shows the extracted 2-d spectrum and the plot on the right shows the sodium doublet in all 3 resolution modes. 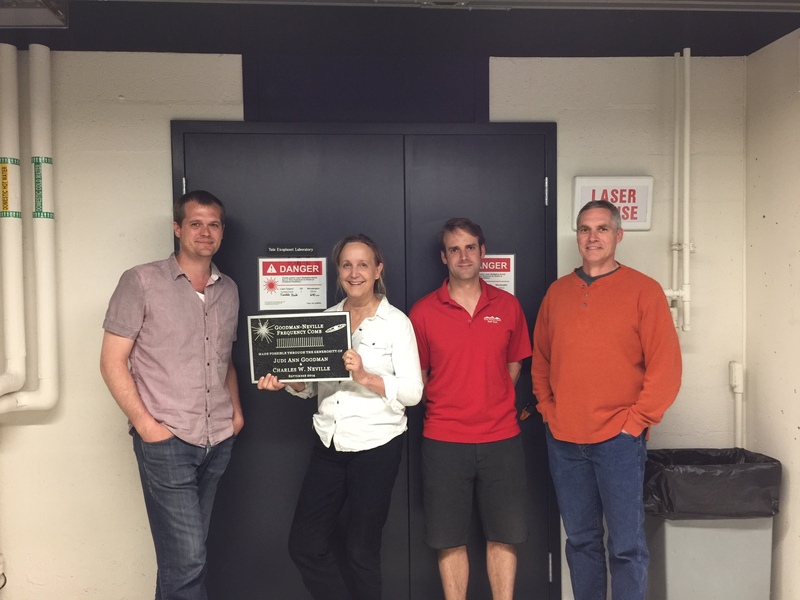 May 15, 2015 - Thanks to support from a matching donation and The Planetary Society to provide funding for the design and construction of the Goodman-Neville Frequency comb in the Yale Exoplanet Lab! 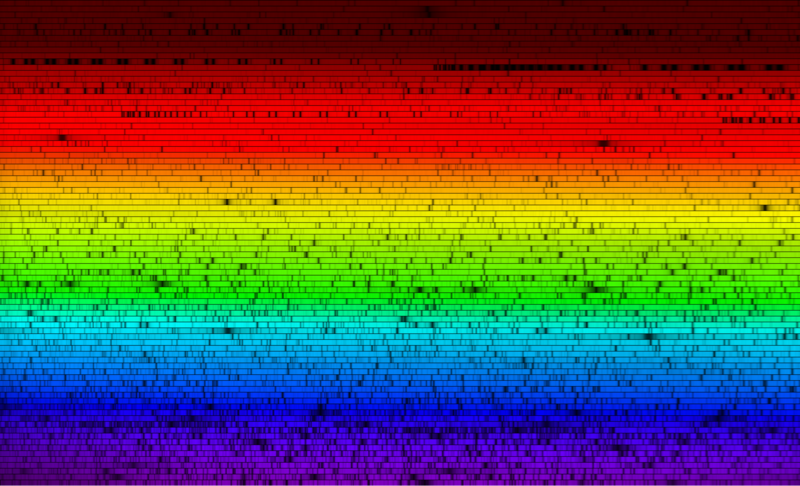 March 18, 2015 - The Yale Exoplanet Group recently designed a spectrometer for the Moletai Astronomical Observatory. Below is a time lapse video (images courtesy of Build Pictures) showing the initial build of the instrument. Once final testing and analysis are completed here at Yale, the instrument will be packaged up and shipped to Lithuania, where it will be installed on the 1.65 m telescope. For more information on the MAO Spectrograph, and to see another time lapse video of the assembly from a different view, see our MAO Page. February 26, 2015 - As the Yale Astronomy Department prepare to move from their long time location in JW Gibbs Laboratory to historic mansions along Hillhouse Ave, plans are well underway for the new Yale Exoplanet Lab. 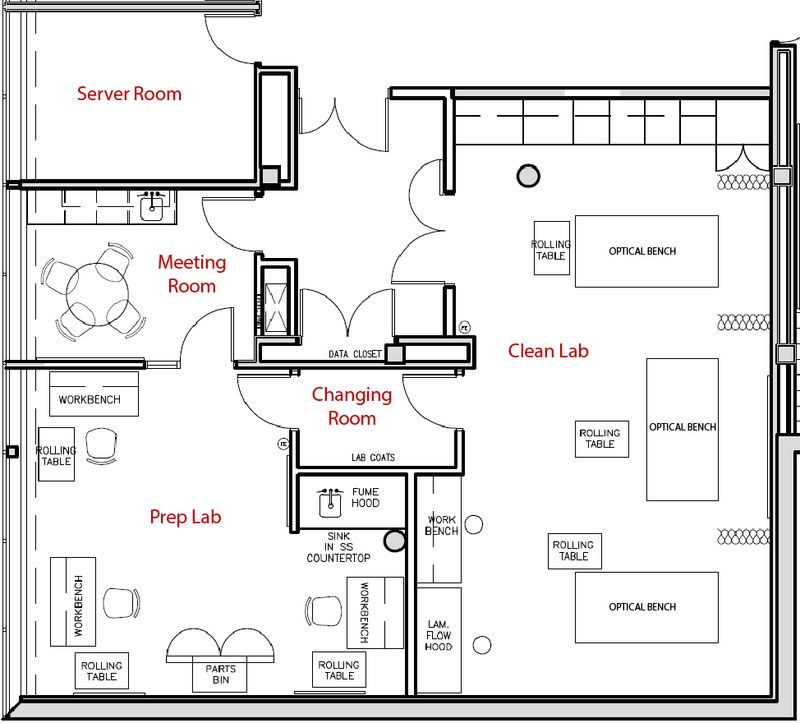 The image below shows the current design for the lab, which will be adjoining the middle mansion in the basement of the Watson Center. December 2, 2014 - In a paper that has just been accepted for publication by the Astrophysical Journal, Yale Postdoc Ji Wang tackles the mystery of hot Jupiters. "Hot Jupiters" are a category of planets approximately the size of "Jupiter" and are very "hot" due to the proximity to their host stars. 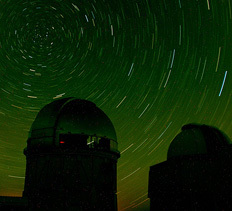 The two major detection techniques (Doppler measurements and transits) find different occurrence rates for these easily detected planets. After accounting for differences in environmentental factors of the two samples, (stellar metallicity, multiplicity rate and evolutionary stage) Dr. Wang finds that the discrepancy can be resolved. See News Archive for past announcements. Debra Fischer's group at Yale works on the discovery of planets orbiting nearby stars. Our research projects include Doppler planet searches, and analysis of the properties of planet-hosting stars. We also have an active instrumentation and software development program to investigate novel designs needed for achieving better Doppler precision.